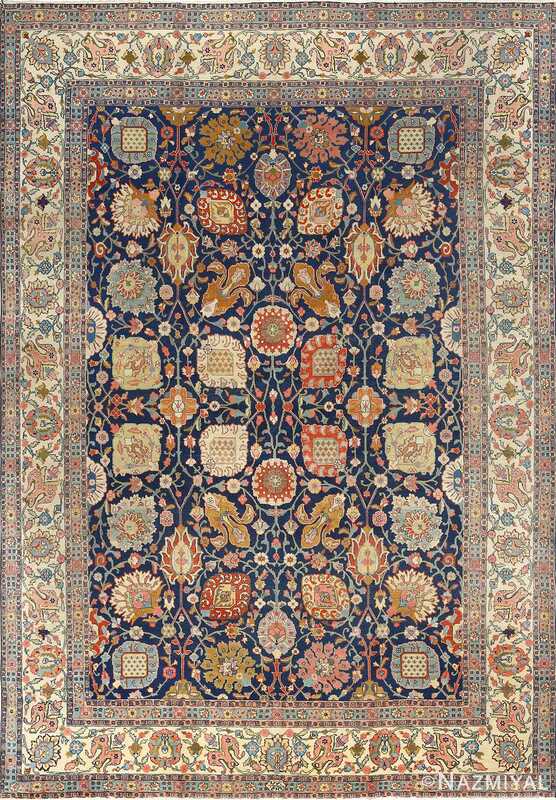 Antique Persian Tabriz Rug, Country of Origin: Persia, Circa Date: 1940– Swooping shapes stitched in complementary yellow, orange and blue hues fill the body of this antique Persian rug with a repeating pattern. 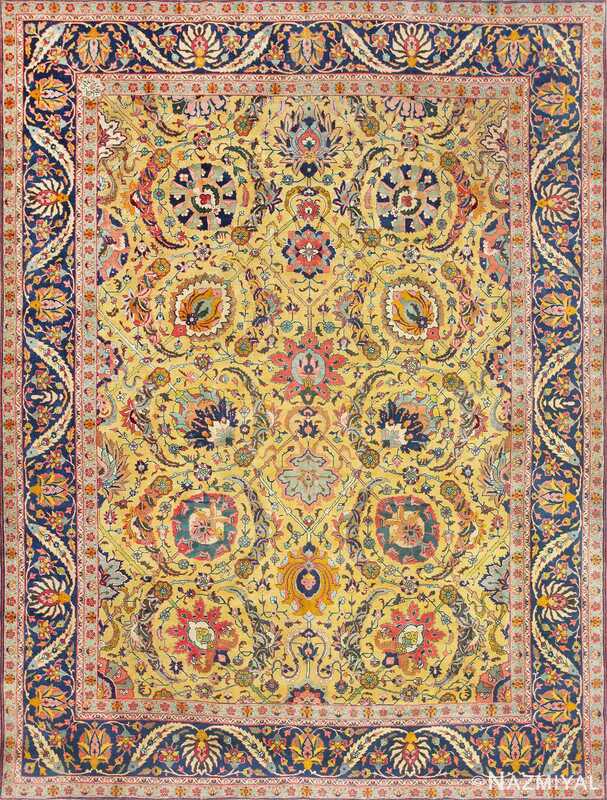 Beautiful with a deceptive symmetry, the pattern’s elegant shapes are accented by ornate flowers and delicate tendrils of stems and flowers in light yellow. 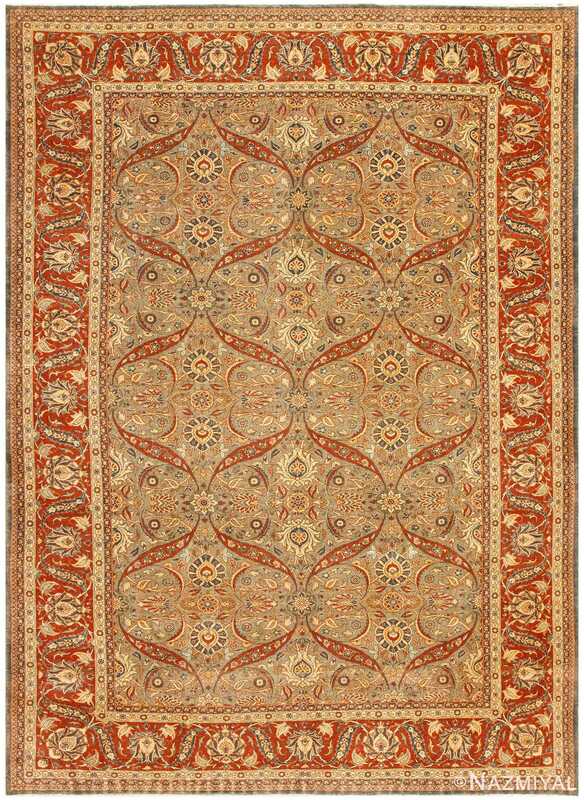 Small stars, limned with dark orange, stud the pattern in regular intervals, their size belied by their elaborate Tabriz styling. Tiny bars surround the striking design, themselves full of flowery decorations. The central, widest border of this antique rug is backed with the red-orange hue and lined with small floral medallions. Jagged black leaves full of red-touched flowers frame these figures. 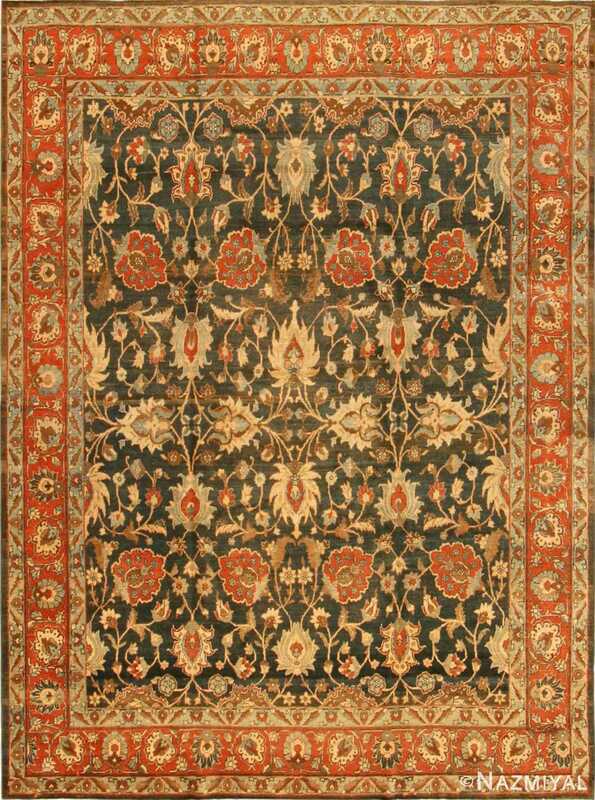 A rich classical Persian design of palmettes and vines unfolds rhythmically across the surface of this regal antique Tabriz from Persia.